So you want to know more about LEGO Serious Play? Despite the slushtacular weather yesterday evening, quite a number of people made it out to the workshop I gave at capCHI last night on User Requirements with LEGO. We had a great time doing an intro to LEGO Serious Play and modelling users for an Ottawa Snow Portal. I’m always amazed by how much work can be done in a short period time using this approach. User Requirements with LEGO – the guide for applying the LSP approach to collaborative gathering of user requirements for online projects. 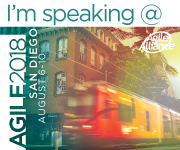 Agilitrix.ca – Michael Sahota, an Agile coaching colleague and fellow facilitator, has published some great videos and posts relating his adventures in using these techniques in Agile contexts. I’ll post additional materials down the road. Some of last night’s participants asked some very thought-provoking questions about the approach and I have some research to do to find answers. Stay tuned!